Split A/C Systems	There are 70 products. 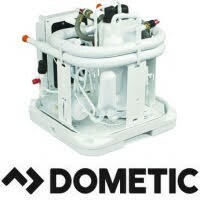 Dometic Split Gas A/C Systems - Condensing Units and Evaporators. Available in R410A or R417A / R22 refrigerant systems. Dometic Emerald Units (DEU) are direct replacements for Cruisair (EQ) & Marine Air (ED) Emerald split gas condensing units. Dometic TVE Emerald Series TurboVap Evaporator Units, 4,000 BTUs up to 16,000 BTUs, R410A gas, 50-60Hz, 115V or 230V. 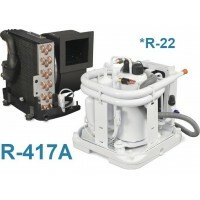 For the complete line of Dometic Emerald Series TurboVap Units, see here. *Please see purchasing requirements below. Save $220.00 with Code + Free US Shipping! This system requires your installer's EPA certification before we can ship your unit. * Please email certificate to info@citimarine.com.